I make this as a vegetarian dish by adding some dairy toppings. For a vegan dish omit the garnishes. 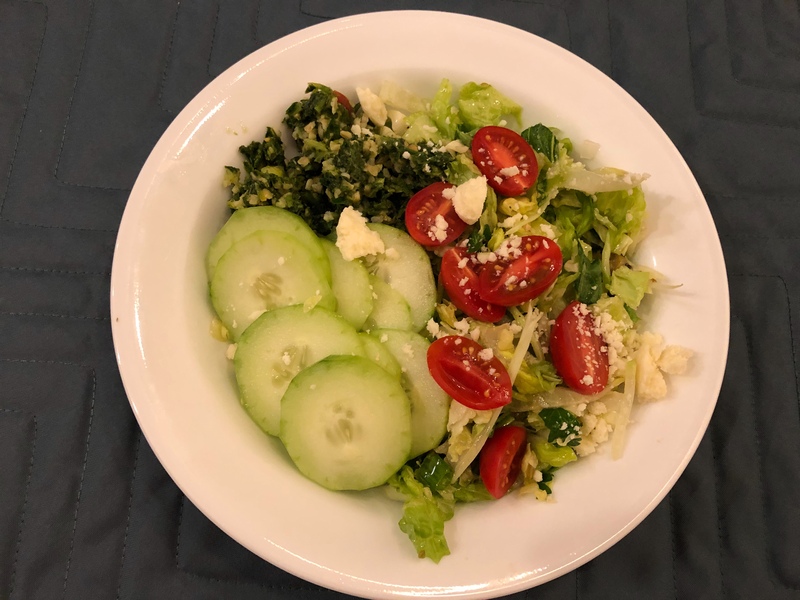 We start our dinner tonight with a Greek salad embellished with leftover tabbouleh and thinly sliced cucumber. The cheese on top is cotija, a salty Mexican cheese. It is standing in for feta. We have a hunk of it left from chicken enchiladas last week. Our main course is red lentils cooked in the Afghani style. I love how red lentils come out of their package as a pale salmon-y color and turn a vibrant yellow when you cook them. Afghani style lentils are cooked in a soupy mixture of vegetable broth, onions, garlic, ginger, and spices. It only takes about 15 minutes to cook. I serve it with a dollop of yogurt or sour cream, a sprinkling of sumac, and pita. 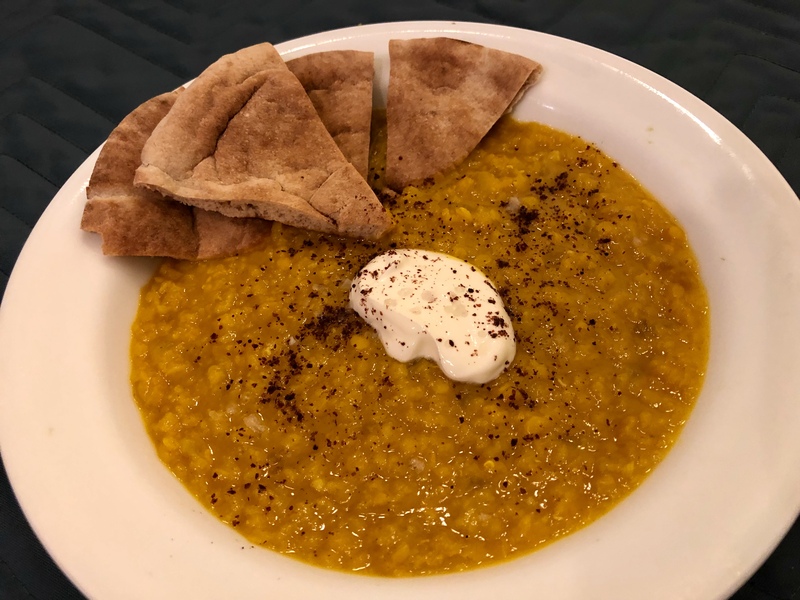 Afghani red lentils with sumac, sour cream, and pita. This entry was posted in Easy, Legumes, Vegan, Vegetables, Vegetarian and tagged lentils, Pita, Salad. Bookmark the permalink.